Concrete buildings and other structures that are able to close and self-heal stress-induced cracks are no longer utopia but can soon become reality, thanks to an invention by the Dutch microbiologist Hendrik Marius Jonkers. His vision consisted of increasing the tensile strength and enhancing the environmental soundness of concrete with the aid of nature, reducing in this way both the costs of concrete production and maintenance, and of containing the resulting CO2 emission. 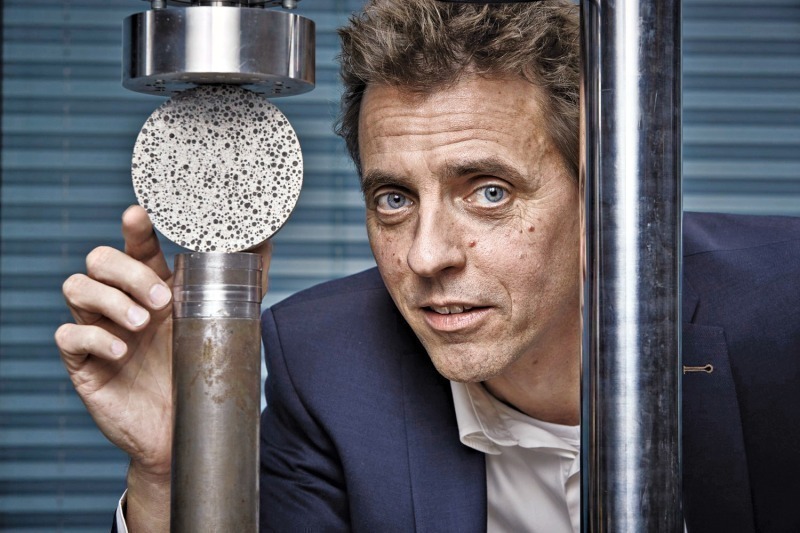 Towards this objective, Jonkers developed a bio-concrete with bacteria that can survive up to 200 years in a concrete structure, that “wake up” when damages occur, and that heal them by producing limestone. For his invention, Hendrik Marius Jonkers has been shortlisted in the Research category as one of three finalists for the prestigious European Inventor Award 2015. The coveted distinction will be presented on 11 June in Paris for the tenth time. Following his studies of marine biology at the Groningen University in the Netherlands and after earning a PhD in this discipline in September of 1999, Jonkers concentrated on studying the behavior of bacteria. As a research associate at the Max Planck Institute for Marine Biology in Bremen, Germany, he experimented for the first time with limestone-producing bacteria. In 2006, he continued his career at the Faculty of Civil Engineering and Geosciences at Delft University of Technology in the Netherlands. 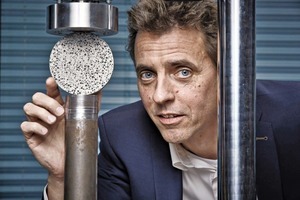 Within the scope of the research program conducted there, Jonkers made it his goal to find a solution for applying the self-healing effect of organisms in nature to concrete. 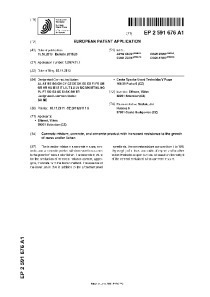 To close the cracks in concrete, Jonkers choose bacteria species (Bacillus pseudoﬁrmus and B. cohnii), which are capable of biologically producing limestone. For this process, the bacteria consume oxygen, consequently preventing as a positive side effect the corrosion of steel on the inside. For humans, these bacteria are absolutely harmless, since they can survive in concrete only under alkaline conditions. On this basis, Jon-kers and his team of researchers developed three different types of concrete mixes containing bacteria: self-healing concrete that already contains bacteria in the mix, a repair mortar, and a liquid repair solution that is applied to the concrete only after it has been acutely damaged. 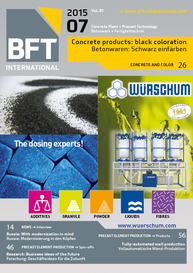 In the course of recent years, this bacterial concrete underwent long-term testing on purpose-built buildings in the city of Breda in the Netherlands, while being subjected to various external influences. Introduction of the self-healing concrete to the market is planned to take place as early as this year, since Jonker’s patented invention has the potential of notably reducing repair costs on bridges, tunnels, and retaining walls.